Blog > Design and Prototyping tools >High-Fidelity & Low-Fidelity Prototyping: What, How and Why? Read this to know what the differences between high fidelity and low fidelity prototyping are, how and why to choose high fidelity or low fidelity prototyping for a better design or user research. In fact, the terms, “high fidelity” and “low fidelity”, were firstly used in rock music to describe the sound and playing skills of the rock and roll at the end of the 1980s. As the years goes by, they are also applied in web/app design to refer to the different levels of details and functionality build into a prototype. However, what are the actual differences between them, how and why should we choose the high or low fidelity prototyping for a better design or user research? In the following, I will walk you through the basics and differences lying in the high fidelity and low fidelity,explaining and explain why and how to choose them to make excellent prototypes for a better design or user research. Even though there is no fixed recipe for successful web/app designs, the high fidelity and low fidelity prototypes. One of the major differences between them is the refinement of a prototype and the design scenario. Low-fidelity prototyping – known as low-tech, low-fi or lo-fi prototyping, is a simple and easy translation of the products and design concepts. It’s often used to turn the design ideas into testable and tangible artifacts for collecting and analyzing the user demands at the early stage. High-fidelity prototyping – known as high-tech, high-fi or hi-fi prototyping, is highly-functional and interactive prototyping, which is quite close to the final product, with lots of functionality functions and details included. So, this is often used in the later usability evaluation to discover the potential issues that may exist in the workflow, interactivity and so on. So, in order to make a good web/app with perfect interfaces and user experiences, you’d better choose low-fidelity or high-fidelity prototyping based on your different purposes or at different stages of design. 2. How and why to choose hi-fidelity or low-fidelity prototyping – which one to choose for a better design? 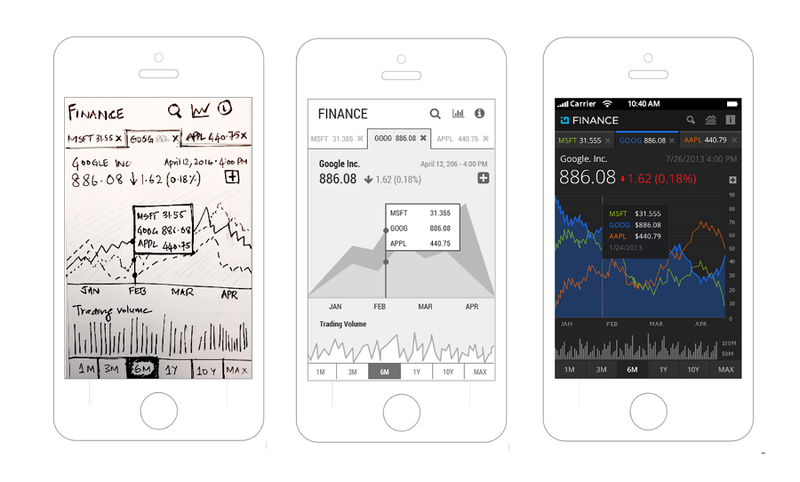 1).Why is low fidelity prototyping better for you at the early design stage? Instead of emphasizing on the outlook very details of final products, the lo-fi prototyping gives more focus on macro design concepts of designers for a web/app. It is much easier and faster for designers to iterate their design ideas while using low fidelity prototyping. A typical example is you are more poised to give up the rough sketches which only take few minutes to create. But to give up the pixel-perfect prototypes is much more painful definitely. So, at the early design stage, when designers are aiming at quickly translating ideas into visualized prototypes, shortening iterations and collecting user feedback, low fidelity prototyping is a much better choice. 2). Why is high fidelity prototyping better for you at the very ending design stage? The high fidelity prototypes are often designed with more details and functions of final products. And that’s also why they are often quite close to the final products. With far more details, such as web/app elements, colors, styles, functions, interactions, animations and more, high fidelity prototypes often have better visual effects than low fidelity prototypes. Since it is really similar to the final products, it is also really easy for designers to test the feasibility of the web/app designs and discover possible issues. 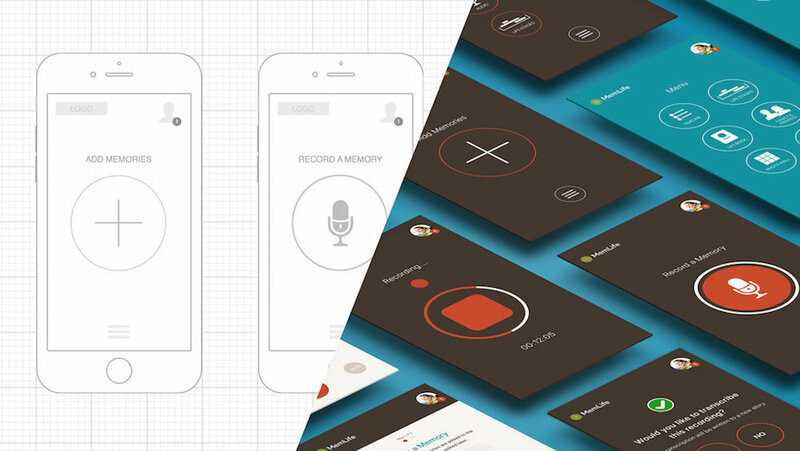 Since the high fidelity prototypes are often designed with more beautiful colors, styles, animations and interactions. They are often much attractive to users/stakeholders. 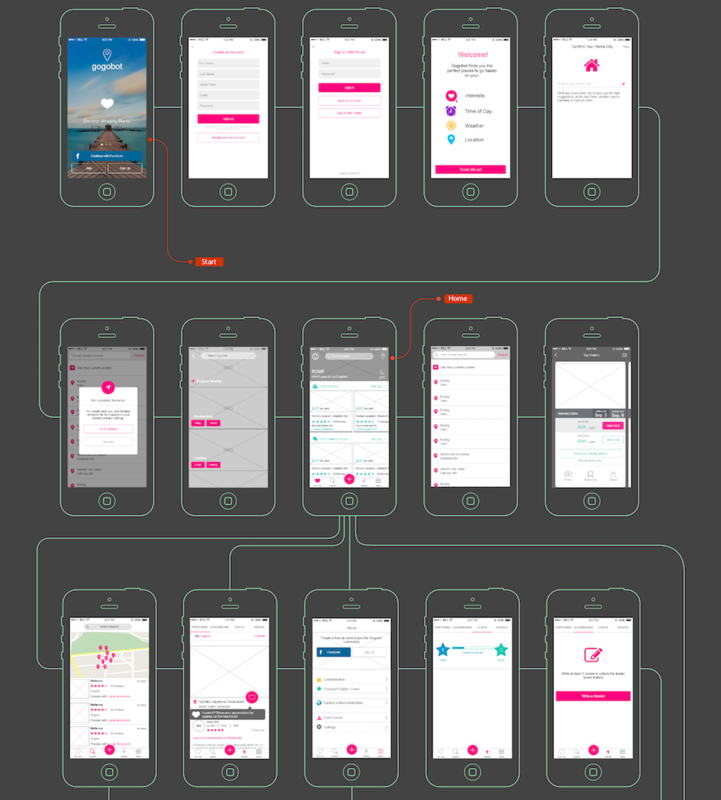 Hence, at the very ending design stage, when designers are trying to impress users/stakeholders, the high fidelity prototyping is much better for them to present their design concepts. Of course, as we’ve mentioned above, there is no fixed ways for successful designs, you can use both of them to improve your web/app designs and attract much more users/stakeholders. No matter whether you choose a high fidelity or low fidelity prototyping, the only purpose is to present your fantastic design ideas more vividly and build excellent web/app prototypes, right? If your answer is surely “Yes”, a good prototyping tool, like Mockplus which is highly recommended for low-to-medium prototyping, can help you twice the work. 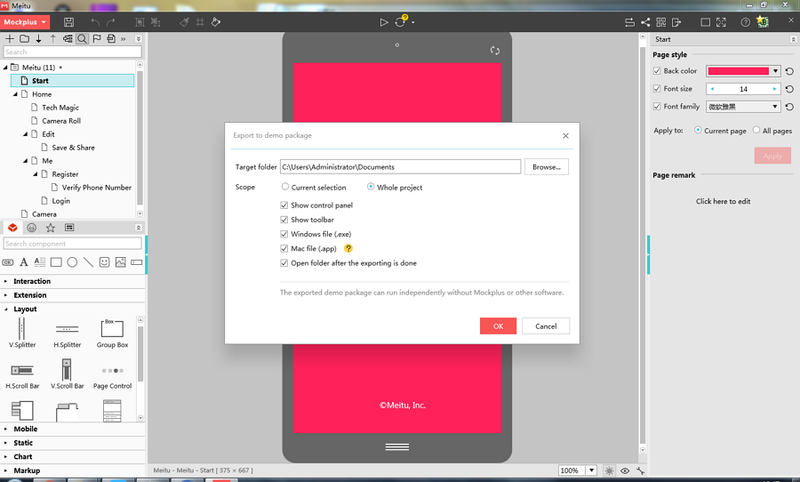 For example, Unlike Axure or Framer which requires parameters or coding kowledge to make the interactions,you can easily drag and drop a linking point to make interactions between components ad components or components and pages with Mockplus. That’s WYSIWYG. And its Interaction State also enables designers to create more vivid animations for prototype components. Moreover, the animation effects in the PowerPoint presentation are also available in Mockplus, such as push, slide and fade out, etc. Its Auto Recovery feature also allows designers to restore the original interaction once the first interaction occurs, totally a life-saver for most designers. In short, the interaction design in Mockplus is easy, fast, intuitive and effective. • Preview projects and pages to test and discover possible issues while editing. After publishing, you can get a public URL to share with your colleagues and stakeholders. Even when you are offline, you can still test your prototype in the browser and deploying the HTML5 package to server. It supports both .exe and .app files, and also get no any browser compatibility issues. You can export pages to images with JPG or PNG formats. After publishing, you can get a four-letter view code to preview your published prototype on a mobile. You can export the whole project tree to multiple formats. Mockplus allows designers to preview, share and test their prototypes with comprehensive ways. This is really user-friendly and effective. With Mockplus, you are allowed to export the design to project tree with multiple file formats supported like html, xml, csv, etc. Moreover, after the releasing of its v3.2 (click here to check six new features ), you can also apply the Mind Map design mode where all the page structure of the project can be easily and quickly completed with only one click. The UI Flow feature is also one of its outstanding new features and allows designers to display the UI flow of all or any number of pages, with page connections and markups included. Except these functions mentioned above, Mockplus, as a faster and easier prototyping tool, also provides designers far more user-friendly features. For example, in order to allow users repeat elements, like tests, photos and groups, in batches with ease, Mockplus offers a special Repeater feature for them. In order to let designers fill photos and texts in batches withsimple clicks, it also offers a smart “Auto Fill” feature for them. 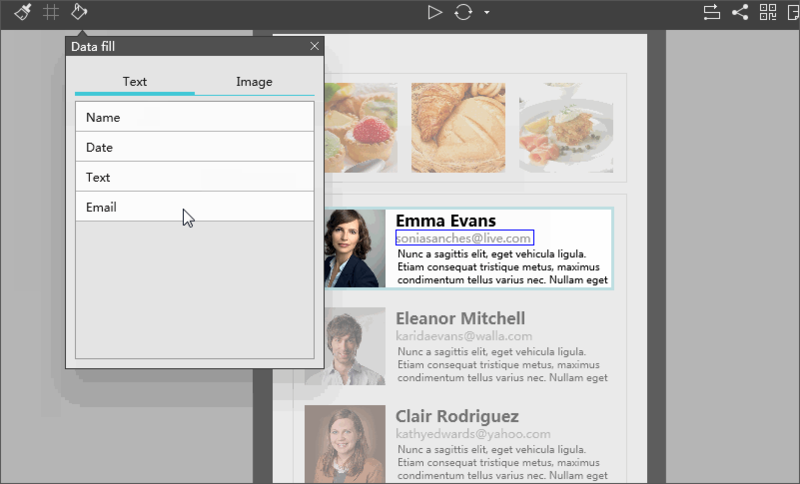 And its Format Painter is also easy for everyone to copy and paste styles of one component to others. Needlessly to say, its in-built 200 components and 3000 icons will also enrich your prototypes. No matter what the differences the low fidelity and high fidelity prototyping are, how and why you will choose low fidelity or high fidelity prototyping for a better design or user research, a good prototyping tool, like the easier and faster one, Mockplus, often means a lot for you to create an excellent web/app with beautiful interfaces and good user experiences. Hope this article can inspire you anyway.